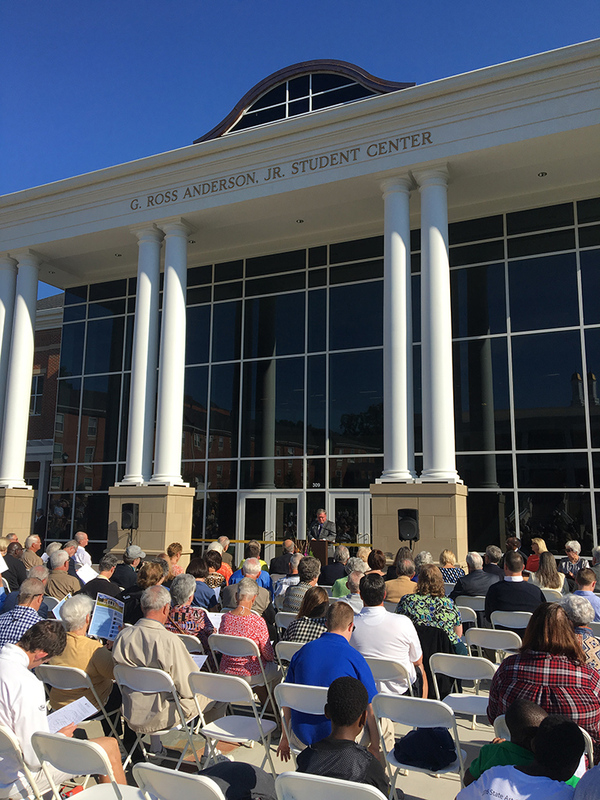 Anderson University debuts new Student Center - Rodgers Builders, Inc.
Anderson University celebrated its newest addition to campus this past weekend during a ribbon cutting and dedication ceremony for the new G. Ross Anderson, Jr. Student Center in Anderson, SC. 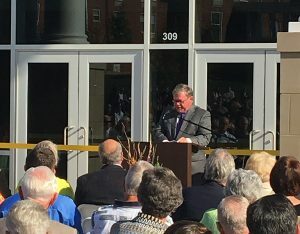 Rodgers served as construction manager for the building, which is now the largest on campus. 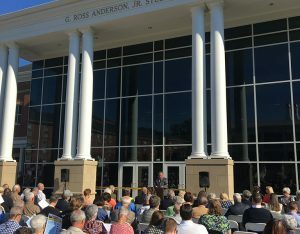 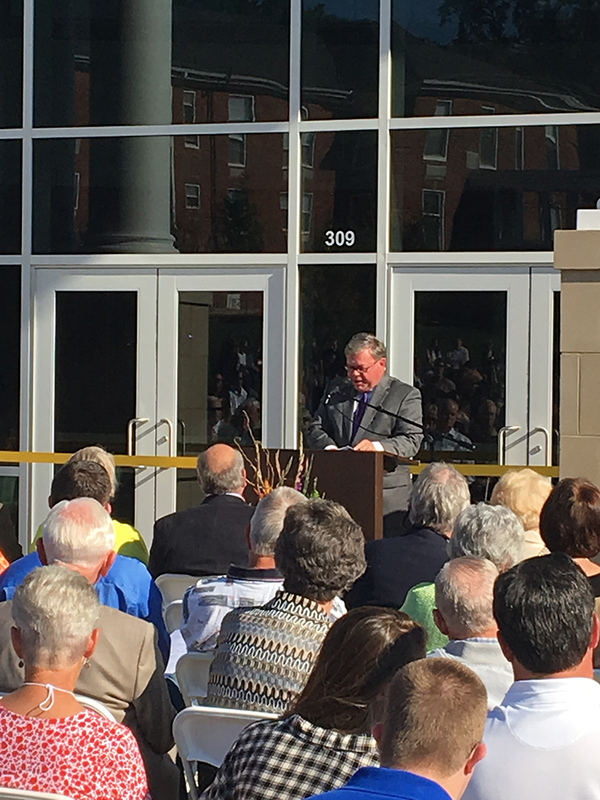 The building was dedicated and named in honor of G. Ross Anderson, Jr., a United States District Judge who has been a driving force behind the growth of the university. 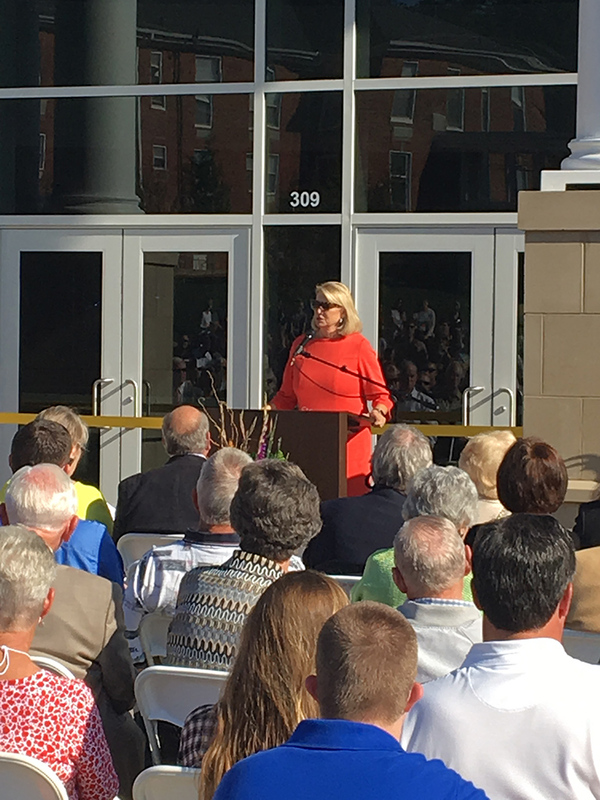 Over 1,400 craft workers were part of building the student center. 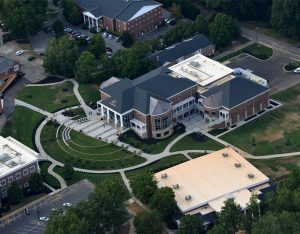 Building materials traveled from as close as Greenville, SC and from as far as Columbia, South America, helping to create the 86,000-square-foot complex. 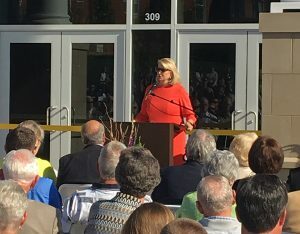 The new student center hosts a multitude of amenities including a 600-seat dining facility, campus bookstore, 400-seat banquet hall, 400-seat multi-purpose theatre, wellness center, international news center, outdoor plaza and staff offices, including Student Activities and Career Services. 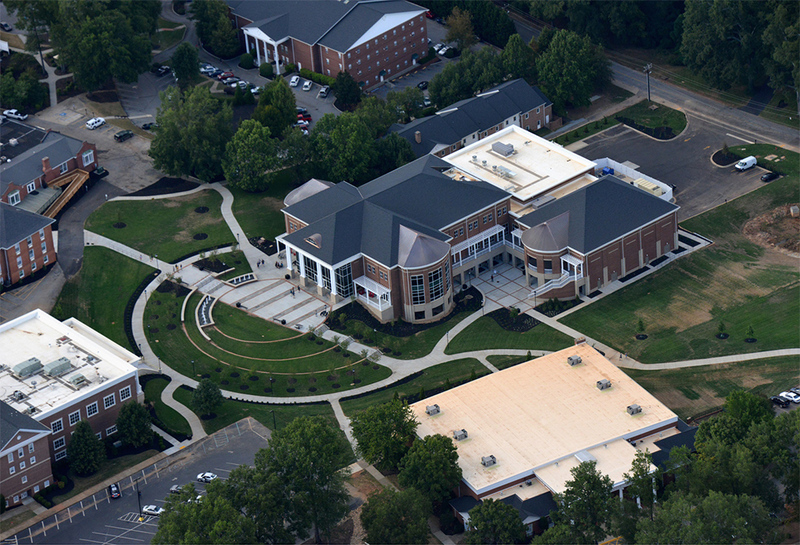 The center provides the university with an enhanced sense of community by offering a place for gathering and fellowship among students, faculty and staff.